The Beatles 50 Years Ago Today: February 19, 1967. Beatles Radio: The Beatles, Solos, Covers, Birthdays, News The Fab 4 and More! 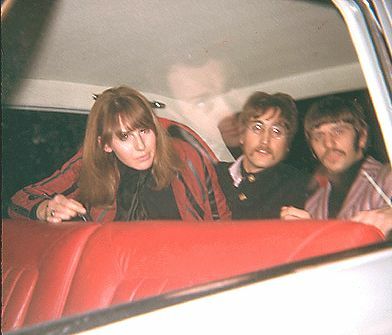 February 19, 1967 - Fan photo of Cynthia on husband John's lap with Ringo Starr in the backseat of a car after attending a Chuck Berry concert at the Savile Theatre. Brian Epstein's reflection is captured in the window.